Enduring a divorce is an extremely painful and extremely stressful time in life – one that, although unfortunate in every aspect, shouldn’t ruin your health and well-being. 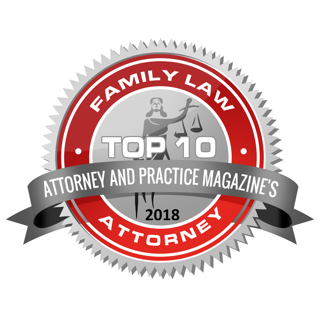 At Simon Law Group, we have experienced designated attorneys to handle marital separation cases, and we’re here to make the process as smooth as possible for you, while ensuring the absolute protection of your assets, and helping you to determine the best course of action for child custody, if you have children. If you’re contemplating whether or not to file, consult us, and we’ll discuss the 6 critical areas to understand: Cause of Action, Child Custody, Child Support, Alimony, Equitable Distribution, and Payment of Fees. If your case requires post-judgment work, we can assist you with that, as well. Whether you need sound advice, or you’re looking to ensure protection against inappropriate behavior or unnecessary attacks on your well-being, call us - we’re prepared to answer all of your questions. Don’t wait for your life to spiral downward before you seek help. Alimony refers to the monetary support paid by one party to another in a divorce. The law in New Jersey changed in September 2014 when the Governor signed into law the alimony reform bill. Previous law allowed for three types of alimony 1) Limited Duration, 2) Permanent, and 3) Rehabilitative. Permanent alimony no longer exists. The three categories have been reduced to Open durational alimony, or Limited duration alimony. As a result of the new law, both payer and receiving spouse can no longer depend on an alimony award that lasts for the duration of the marriage. This would be an exceptional circumstance. Under the new law, in general, alimony cannot be for longer than the length of the marriage, except if the marriage lasted for 20 years or longer. Only then would the receiving spouse receive open durational alimony. Alimony in New Jersey is a complicated process and it is best handled by experienced divorce attorneys. Equitable distribution is the fair and equitable distribution of assets and liabilities acquired during the marriage. It does not always mean equal, although it may in some cases. Equitable distribution can relate to things such as furniture, vehicles, pension plans, tax deferred plans, stocks, bonds, mutual funds, mortgages, credit card debt, other loans. Not every divorce ends with both parties at each other's throat. If you are still on good terms with your partner at the time of your separation, you may be looking to avoid the long arduous painful court trial and amicably separate your assets. This is always the best outcome in a divorce especially if there are children involved it can spare them significant emotional trauma. If both parties agree to things such as alimony and visitation rights. Like anything having to do with the law in New Jersey there are going to be preliminary issues that need to be sorted out before an uncontested divorce is approved. These include issues of residence and the legal grounds for your divorce, irreconcilable differences for instance. While you can go through the process of uncontested divorce without the help of an attorney, there are benefits to seeking out representation. Even if just to have someone for consultation and advice. These processes can be difficult for any level of competence. Without having someone on your shoulder guiding you, even in the best situation a divorce is a serious undertaking. A restraining order is a court order issued to prohibit a person from carrying out a particular action, namely approaching or contacting a specific person. Restraining orders can be useful in protecting victims of domestic violence. There are two types of restraining orders in New Jersey: Temporary and Final Restraining Orders. A Temporary Restraining Order (“TRO”) is commonly issued to provide temporary protection from alleged abusers. In order for a temporary restraining order to be issued, a judge must have “sufficient basis” to believe that domestic abuse has occurred. A TRO is in effect until a hearing date. On the hearing date, a Judge will determine if there is sufficient merit to grant the Final Restraining Order. If you are the victim, or accused, your best chance is with an experienced attorney. A Final Restraining Order (“FRO”) issued is permanent. For the victim, there is relief. For the accused it can affect your employment, right to own hunting equipment, and relationship with your family and children. In addition, if there are children in the home, New Jersey’s Division of Child Protection and Permanency (DCPP) (previously “DYFS”) can be notified. You need to ensure that you have quality representation to protect your rights and your future. Many times it’s a two way street. The “victim” is sometimes the abuser. People can use Restraining Orders as a tool to gain an upper hand in divorce. Ensure protection of yourself and your family. Contact us immediately if you are involved in or are considering a restraining order. 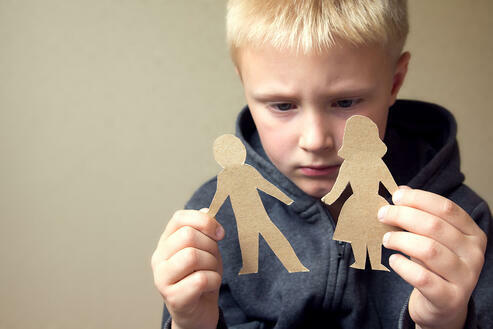 The Division of Child Protection and Permanency (formerly DYFS) is a controversial regulatory body in New Jersey with the ability to separate you and your children. While this sounds like an exaggeration, their purpose is to investigate accusations of child abuse and mistreatment and to place children into the environment that will help them best succeed in life. Accusations of abuse are often anonymous and require no basis of fact before an investigation is begun. If you are anonymously accused of mistreating your children, you do not have the right to know who has made that tip against you. Many have felt powerless when the DCPP open an investigation into them. Some have felt bullied or have had their lives intruded upon. There's no easy solution or magic word that will make the investigation go away, typically they are resolved in 60 days but there are many nuances to every case, like the nuances of every different family. Contact us to make sure you understand your rights and what rights the DCPP have when interviewing you and your loved ones. NOLO, Lawyers.com, CBS News, Youtube, Facebook, Google+, Twitter, 94.7 FM, and WABC.